Louis XV style gilt metal birdcage eighteen light chandelier; early 20th Century. Two tiers of scrolled arms hung with glass drops, prisms and swags, fitted for electricity. 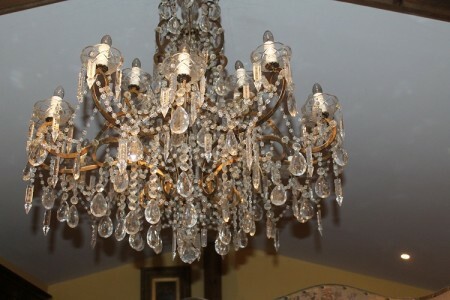 This chandelier would give any room a WOW factor!